Step It Up (19/365) – Annoyingly Boring? Through my wife’s employer, she and I are participating in a fitness challenge. 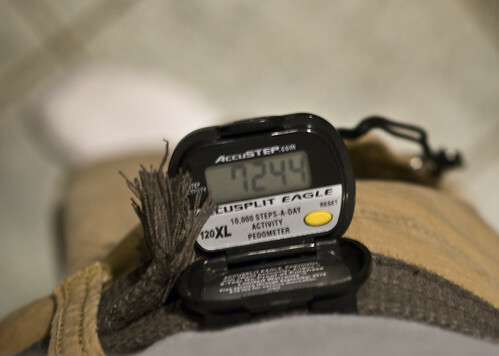 Four weeks of wearing a pedometer. Goal week one is 7,000 steps a day. Week 2 goal is 8,000 steps a day and so on. Monday of week one and I was off to a just squeaking by start. you go girl!!!!! one step at a time you can do it.